Researchers take significant steps to limit errors during animal research. They carefully plan sample sizes and other elements of their study to ensure the most accurate results possible. Still, despite these efforts, data errors can still occur due to many factors. One common error source, the misapplication of mouse ear tags, is an obvious culprit. A potential source of error that may be less evident, however, is genetic contamination. This article will provide a look at what genetic contamination is, why it is important, and what researchers can do about it. What Is Genetic Contamination? 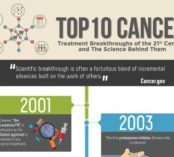 How Can It Affect Research? 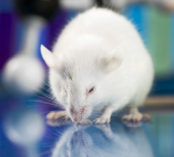 Genetic contamination refers to the introduction of unintended new genes to a mouse strain. This is usually by way of a breeding error. It can happen if mice and their enclosures are improperly identified. It can occur if different strains are inadvertently housed together during transport. It can even be the cause of a similar concept known as genetic drift. Different strains of mice, even inbred ones deemed genetically stable, are subject to random gene mutations. This may seem like an inconsequential detail. In truth, genetic variations can affect the results of studies. According to an article in Trends In Genetics, Know Thy Mouse, even small amounts of genetic contamination can "compromise the reproducibility of experimental data over time and place." They go on to claim that "many scientists who have turned to the mouse as a research model might be unaware of the profound impact of changes in genetic background." The statement suggests that controlling this phenomenon is critical for ensuring the accuracy of future studies involving lab mice. In some cases, the consequences can go beyond faulty data. Creating repeated studies without reproducibility can harm a researcher's reputation. In turn, this can lead to a waste of research funds and an unwillingness from contributors to offer financial assistance for future studies. There is a process for tracking the genetic makeup of lab mice to catch possible shifts known as genetic monitoring. It is a standard practice among rodent vendors. They record the pedigrees of their animals to maintain consistency. One paper, The Case For Genetic Monitoring Of Mice And Rats Used In Biomedical Research, questions whether or not monitoring efforts have kept pace with the number of diverse mouse strains available. "Scientists, veterinarians, animal care personnel, and animal facility managers know that the specific strains of research animals they develop, use, care for, and house are genetically sound and truly representative of their assumed genotype or genetic background." The paper reasons that the proliferation of genetically diverse research rodents may have increased the likelihood of contamination. It also voices concern about the possibility of errors in genetic modification and the exchange of genetically modified rodents contributing to further contamination. The paper states that genetic variations could occur without changing the physical appearance of the mice. This, they believe, might lead to situations where researchers are unaware that their data will become compromised. To further complicate matters, they state that the intricacies of monitoring "outbred" mice differ from the process of monitoring "inbred" mice. Outbred mice have some genetic variation. Each mouse in an outbred strain is genetically unique. Furthermore, the characteristics of these stocks can change rapidly, and new mutations can segregate and continue within a colony for generations before someone detects them. This has several consequences. There is a possibility that strains of mice with the same name that come from separate breeders are genetically different. 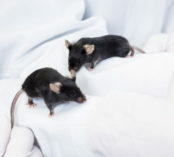 For researchers, this means that there is no guarantee that they will be able to predict if a type of outbred mouse will respond to the tests they are performing. As noted earlier, genetic variation, even a small amount, can lead to a lack of reproducibility. What Can Researchers Do To Limit Genetic Contamination? It is for the above reasons that some researchers prefer using inbred mice for studies. They advocate for careful monitoring to ensure quality and limit genetic drift. Inbred strains have individuals that are nearly identical due to generations of inbreeding. This increases the reproducibility of conclusions, as the animals are all very similar. This is not to say that outbred mice are completely useless, though. Some researchers like to use them for experiments requiring genetic diversity. 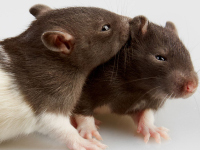 What is important with inbred and outbred mice strains is that they are well maintained. To promote education and training to increase awareness of the importance of genetic quality monitoring. To provide advice and guidance on genetic quality testing. To establish a self-assessment genetic monitoring program. Labs that better understand genetic monitoring can better prepare themselves to deal with it. They can establish diagnostic protocols for assessing mouse genetics. They can also familiarize themselves with concepts like animal husbandry and mouse colony management. Husbandry is simply the breeding and care of the rodent strains. Colony management involves correctly tracking rodents and supervising breeding to achieve desired results. This incorporates several strategies, including labeling mice and recording breeding and gene changes. Several genetic tests can ascertain the genetic markers in rodents necessary for proper monitoring. Individuals trained in these fields are often familiar with the characteristics of rodent strains. They can readily identify variations caused by genetic contamination and mutations. These may include physical attribute like size, weight, color, etc. These personnel are well equipped to monitor colonies, record their characteristics, and control breeding. Genetic contamination and genetic drift can harm the efficacy of research and the reputation of a research facility. The technology and expertise exist for many labs to perform genetic monitoring and testing in-house. To increase the accuracy and reproducibility of their studies, labs should invest in creating their own genetic monitoring programs. This will allow them to verify the identity of rodent strains they receive from breeders and vendors. This will also allow them to track the genetics of mice currently under their care, and respond accordingly to changes.